This has been the neatest surprise! TechnoNana had a reason for a visit to our fair city~and I was able to benefit from it! I was so pleased to meet her and her dear husband—and we shared some food and conversation of getting to know sweet folks, that really felt like we had known them a loooooong time! AND yes! Sharon—-when ya’ll come back for your family reunion—you better call us! YOU are both welcome to stay with us! What a treat! This was so much fun! Girls, if you can get together with another bloggin’ buddy—I say do it! I have already met Lisa Whittle of Behind those Eyes (don’t be jealous, but she autographed my copy of her book! That’s a side benefit from the She Speaks Conference!! ), Kathy of Blessed Builder, Joanne of Blessed, Robin of Robinznest, Lynn of Spiritually Unequal Marriage, and now, Sharon of TechoNana! One of these days I will get to meet YOU! I can hardly wait!! This entry was posted on Sunday, October 5th, 2008 at 8:25 pm	and posted in Missions. You can follow any responses to this entry through the RSS 2.0 feed. Hi Angie,Yep it really is wonderful to meet other bloggers. I’ve met a couple in person so far and plan to meet up with a couple more soon. Blessings on your week!! i am so glad you enjoyed your visit with a fellow blogger. I would love to meet you. I love you. Ang,Coll. 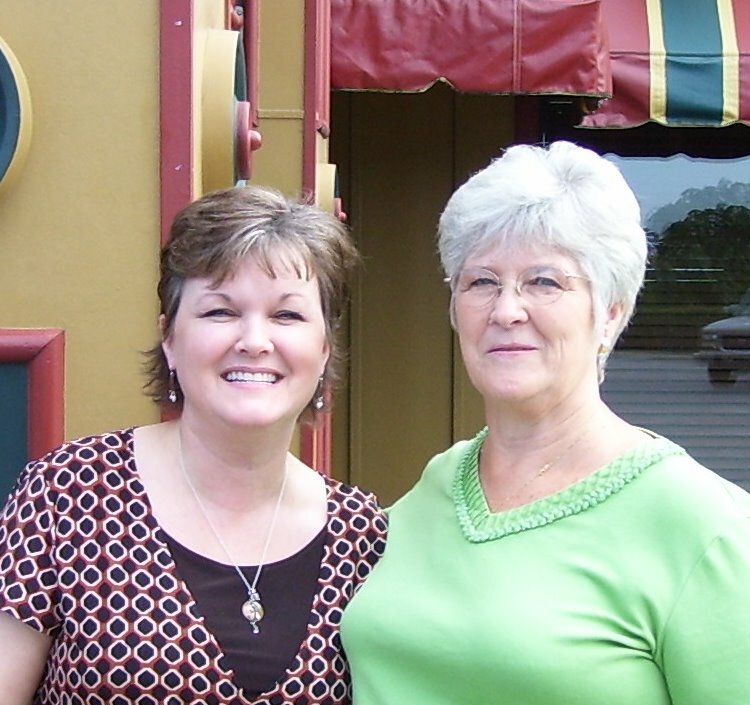 It is one of the greatest privilege to meet one of my sisters that I know and have come to love from our online community.I treasure our time together and it just is a hint of the fantastic days we will enjoy in heaven. Hugs. How neat that you were able to get to meet another blogger 🙂 I so agree with you – if there is any chance to meet with another blogger – go for it 🙂Thank you so much for sharing…Blessings on your Monday and always. How awesome! BTW, the w/e you’re going to the North GA mtns for a girls w/e retreat…. I’m having the ladies of our church over to our ministry house for a one day Soul Spa Retreat! Just a day to be pampered and loved on by our Daddy. There just might be some ‘spa-like’ activity going on as well. 🙂 Anywho, one of these days, the Lord will bring us together.Love ya! Angie,What a blessed time to get to meet one of your Bible study gals. I bet you were just tickled.But I must admit that I am trying awful hard not to be jealous…not to covet your time together……to late….Gotta run now and repent. How fun to know you’ve met some of the bloggy friends! Lord willing, I will meet you someday.